I read Melintheattic’s blog tonight. 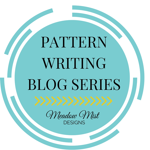 She was blogging about her quilting life in 2014, and her growth. I found her post to be so refreshing. It made me think about my growth, what I have learned, and how my quilting skills have improved. I thought about the people I’ve met. The friendships I’ve built over the years, and experiences I’ve encountered because of quilting. Looking back is an important part of growth. We tend to look back on the previous year to set goals, make resolutions, and think about our growth for the new year. So take a good look back; it will help you move forward. Think about what you have accomplished or gained? If you don’t see any growth. Then what changes will you make in 2015? Think about it! What will you do differently? . . . maybe nothing! Love your blog post today, and happy to be one of your fellow quilters/artist. You have given me a lot of inspiration this year, and I look forward to more in 2015.